Home / Stock Picks / Hot Stocks / 10 Century-Old Stocks: Are They Still Buys? There’s one catch, though. Sometimes, older companies lose their way. They can struggle in times of technological change. Bureaucracy creates a stagnant culture. Changing a large, old company often is likened to “turning around a battleship” — it’s slow and difficult. Many century-old stocks don’t have the same luster they once did, because they’ve fallen behind — or fallen off. As such, here’s a list of 10 century-old stocks — and whether they’re long-term blue-chip holdings or companies that are falling behind the times. International Business Machines Corp. (NYSE:IBM) in some ways was the earliest tech stock. 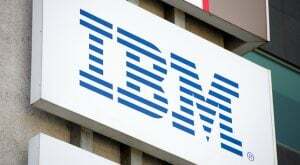 From its formation in 1911 as the Computing-Tabulating-Recording Company, IBM has been at the forefront of technology. In the early 1900s, it was punched card equipment and coffee grinders. Today, it’s supercomputers, servers and software. 111-year-old Kellogg Company (NYSE:K) is a classic example of the challenges — and possibilities — of an older business. The company’s core cereal business has been challenged by changing consumer tastes and health concerns. While Frosted Flakes and Fruit Loops were a staple of children’s diets, sugar- and gluten-conscious parents are looking elsewhere. The company’s “U.S. Morning Foods” business has seen sales decline in each of the last four years. Sears Holdings Corp (NASDAQ:SHLD), then known as Sears, Roebuck & Co., was the dominant company of the early 1900s — think the Amazon.com, Inc. (NASDAQ:AMZN) of its time. Its mail-order catalog quite literally revolutionized American commerce. Over the past few years, Hanesbrands Inc. (NYSE:HBI) has experienced seemingly all the phases of life as an older company. Earlier this decade, Hanesbrands basically was left for dead. Its stock traded for barely $5 as recently as the end of 2011. Its brands seemed tired and dated. New entrants into the underwear space offering new products were taking market share and pressuring earnings. But HBI stock, anyway, has rebounded, gaining 24% off a multiyear low from earlier this year. Guidance suggests EPS growth this year, and a 12x forward multiple and a 2.6% dividend yield both make HBI stock look cheap. There are concerns here, notably potential pricing pressure from competitors Wal-Mart Stores Inc (NYSE:WMT) and Target Corporation (NYSE:TGT). But over the past few years, Hanesbrands at the least has shown that an old dog can learn some new tricks. Everything about The Coca-Cola Co (NYSE:KO) is iconic. It’s likely the world’s most famous brand. Its reach is unparalleled among consumer products companies — or any companies. It is one of the great American companies of all time. Unlike Kellogg, however, KO stock trades at a premium multiple. In fact, backing out cash, KO stock is valued roughly similar to Facebook Inc (NASDAQ:FB) based on next year’s estimated earnings, and backing out the latter company’s net cash. While Facebook may not be 131 years old (or close), its profits are growing rapidly. Coke’s are not — in fact, they have declined. Coca-Cola does perhaps have some options to move away from its namesake brand. It still owns a large stake in Monster Beverage Corporation (NASDAQ:MNST). But the business itself is stagnant, and KO stock has badly underperformed rival PepsiCo, Inc. (NYSE:PEP) of late. Steelcase Inc. (NYSE:SCS) is another company dealing with changing markets. The company and rival Herman Miller, Inc. (NASDAQ:MLHR) are among the nation’s premier office furniture manufacturers. There is turnaround potential here for a company that has turned around before. Current Ford Motor Company (NYSE:F) CEO Jim Hackett made his name turning Steelcase around in the 1990s. At this point, Steelcase desperately needs a similar change. VF Corp (NYSE:VFC) has come a long way since 1899. That year, the company was founded as the Reading Glove and Mitten Manufacturing Company. It then transitioned into lingerie before buying Lee jeans toward the middle of the century. 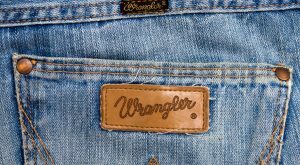 VF would add Wrangler jeans in the 1970s before an acquisition spree this century. Kipling, Nautica, North Face, Eastpak, Timberland and many more brands all joined the VF stable. Procter & Gamble Co (NYSE:PG) is the oldest company on this list, having been founded in Cincinnati in 1837. And, at least according to activist Nelson Peltz, it acts the oldest as well. Exxon Mobil Corporation (NYSE:XOM) was founded in 1870 as Standard Oil, a company that led to the dynastic wealth accumulated by the Rockefeller family. But XOM stock hasn’t created nearly as much wealth of late. The stock actually is down over the past five and 10 years, and currently trades at an 18-month low. Clorox Co (NYSE:CLX) has an interesting bull case at the moment. Clorox’s valuation isn’t necessarily cheap, with the stock trading at 24.5x the midpoint of FY18 EPS guidance. But unlike PG and Colgate-Palmolive Company (NYSE:CL), Clorox actually is growing. Revenue increased 4% last year, with EPS jumping more than 8%. By the standards of consumer products, that’s torrid growth. And it might make CLX a takeover target for P&G, Colgate or Unilever Plc (ADR) (NYSE:UL). Article printed from InvestorPlace Media, https://investorplace.com/2017/08/10-century-old-stocks-are-they-still-buys/.